Gregory Mountain Products, or Gregory Packs, is a small company that is known for producing award-winning bags that easily compete with or exceed the quality of big names like Osprey. This brand has modest beginnings and continues to treat its fans as a family of fellow adventurers rather than just customers. Their products are known for being comfortable and ergonomic in fit with innovative designs, but without sacrificing durability or longevity. An excellent example of what this company can create is the Baltoro 75. This 75 liter model in the Baltoro lineup has been highly praised since it first came out and is even better after it’s updated in 2015. 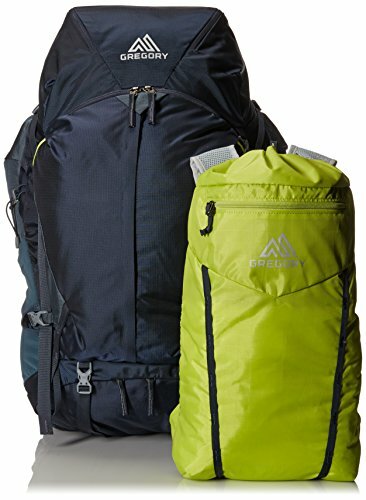 If you need a backpack that is going to give you plenty of room for gear, withstand the backcountry terrain, and leave you with a healthy back with zero soreness, check this one out. This bag is beautifully designed and even though it is technically a men’s bag, most women will also find it comfortable. Weighs 5 lbs. 10 oz. Weighs 6 lbs. 2 oz. Load weight should stay below 50 lbs. The Baltoro 75 is a very durable backpack. Gregory used a 210D double diamond ripstop nylon on some parts of the bag and a flat cross weave of 210D x 420D on the rest. The choice of materials helps to make this bag strong and resistant to damage without adding a lot of extra weight. The internal framing of the Baltoro 75 is a combination of HDPE and thermo-molded PP with a single 7075-T6 aluminum stay. This stay helps to provide stability on the back, prevent barreling and overall distribute weight for the most comfort. Gregory’s harness system and back panel are made from LifeSpan EVA foam which is much more durable than cheaper materials. This foam isn’t going to wrinkle or cause friction. It also resists compression from heavy use- a common problem with lower quality backpacks of this size. Gregory added their Response AFS system to this model. AFS is short for Auto Fit Suspension and explains what this technology does. 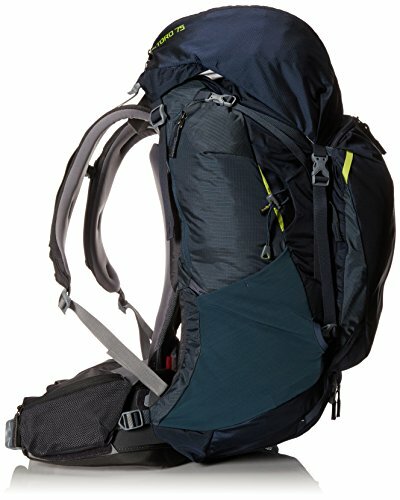 The Baltoro 75 has a hip belt and shoulder harness are independent of each other so they can pivot without affecting the rest of the one another. The harness itself is made of EVA foam padding which conforms to the shape of the wearer’s body. It is precurved for a great fit right out of the store. The shoulder harness itself is very comfortable. The EVA foam feels great and isn’t going to leave hot spots even with extended wear. 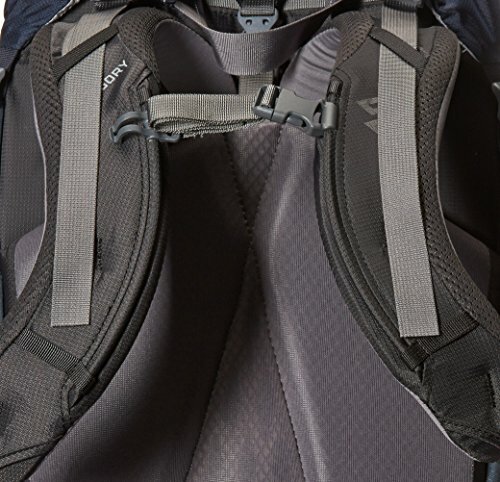 The AFS system makes this backpack move with the body, rather than against it, while the independent harness and hipbelt allow the wearer to maneuver over difficult terrain without interference. There are even more support and stability with the EVA back panel that has a special lumbar pad made to grip the body. Not only does this keep the weight of the backpack on the hips where it should be but it also ensures the backpack doesn’t slip around when traversing terrain that requires stretching, reaching, bending over, etc. This backpack has 8 pockets total, not including the main compartment. There are a drawstring and 2 zippered access points to the main compartment located on the top, front and bottom. This is a great feature for a large backpack as you won’t have to dig through all of your gear to get to something you packed near the bottom. It also makes packing your gear much easier. The top lid of this backpack can be removed to use as a daypack of sorts and is a great place for storing small items that you want to get without having to open up the main compartment. Under the lid, there is an additional small stash pocket. Moving down the bag, there is a large zippered front pocket for bigger items. Dual side pockets are located on the backpack as well as another set of twin pockets on the actual hipbelt. There is a specific pocket for a water bottle, complete with a bungee to keep it strapped down, but you can use a separate hydration system if that is what you prefer. Inside the backpack is a hydration reservoir sleeve (it does not come with the actual reservoir or bladder). Either a 50, 75 or 100 oz. the reservoir should fit fine. On the left and right side of the bag, there are hydration tube ports so you can choose which side you prefer. That is about it for the benefits of this backpack. Gregory really did an incredible job of making the Baltoro 75 user-friendly and comfortable as well as durable enough to be lugged around the trail for multiple seasons. The only disadvantage of the Baltoro 75 is its weight. With the smallest size coming in at 5lbs, this bag certainly isn’t a lightweight backpack. This can be a problem for those with back issues or someone who just doesn’t want to carry a lot of weight. Despite the weight of the backpack, you may find that it just doesn’t feel as heavy as others once you put it on. This is because of the suspension system and the overall quality of design. Some even think it feels lighter simply because it fits them so well. Another design flaw some people find to be a bit annoying is the size of the side and hipbelt pockets. They are fairly small and with the increasing size of smartphones, some find that they can’t safely carry their phone in this bag’s hip belt pockets. The side pockets are only big enough for very small items and due to their rigidity, you can’t really overstuff them. Aside from those two problems, the Baltoro 75 is really an incredible backpack. It is a winner of Backpacker magazine’s Editors’ Choice Gold 2015 and 2015 Outside Gear of the Year awards. Even going by customer reviews alone it is easy to see why this backpack is so highly praised. If you aren’t into ultralight backpacking or don’t mind a couple extra pounds of weight, the Baltoro 75 would be perfect for weekend trips or longer, if you pack smart.